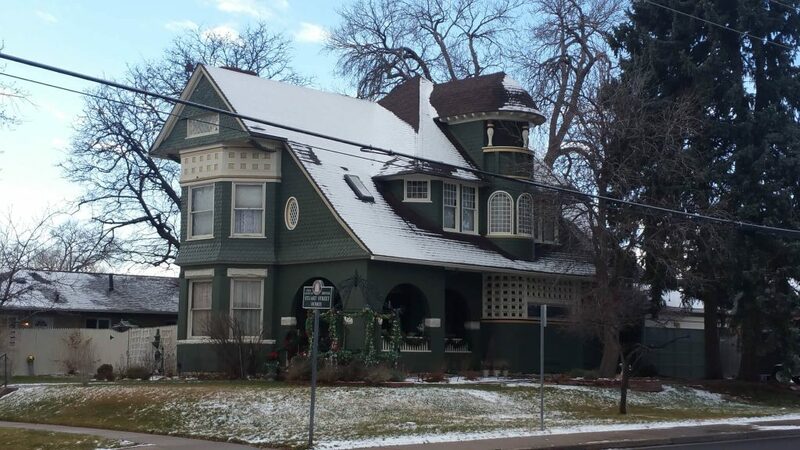 If you’d like to go for a fun and interesting walk on the west side, combine the neighborhoods of West Colfax and Villa Park. They share the east/west boundaries of Sheridan and Federal. West Colfax goes north to 17th, Villa Park goes south to 6th, and the Lakewood/Dry Gulch splits the neighborhoods into two. The Lakewood/Dry Gulch certainly adds a spectacular punch to the two neighborhoods. 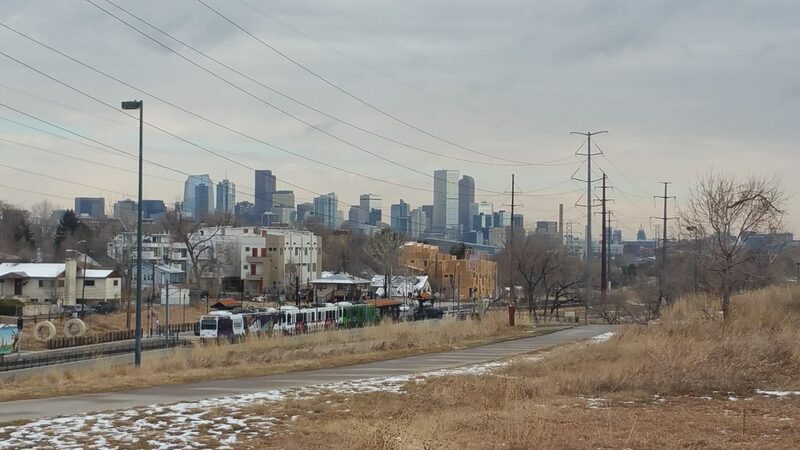 This gulch that drains both neighborhoods to the Platte, also has a wonderful trail that goes west along Dry Gulch to Sheridan, or southwesterly along Lakewood Gulch to Green Mountain Park. It also houses the light rail to downtown. Thus, if you live in either neighborhood, you can ride, walk, or transit downtown with ease. 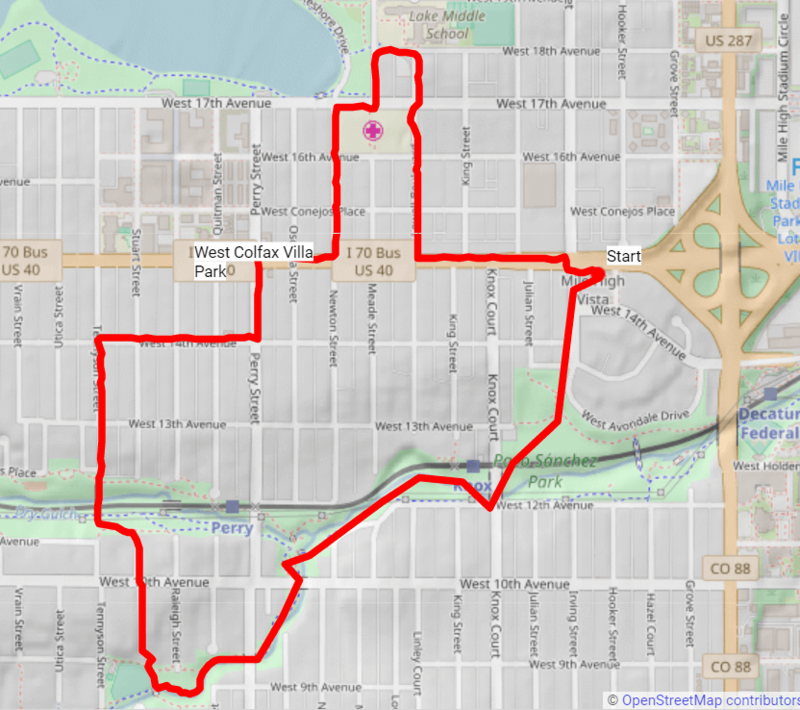 West Colfax, originally the small Colfax neighborhood off the Golden Road, named the longest, wicked, street in the US. The neighborhood eventually annexed to Denver. Villa Park, on the other hand, had grand plans to be a 1000 acre resort with lakes and features. But these dreams suffered too, and eventually the land sold to PT Barnum. The neighborhood split in two, with Villa Park to the north and Barnum to the south. Be sure to read about the fun and crazy Barnum and its history here. Both neighborhoods are rich in parks, one of the most relevant being the Paco Sanchez park. 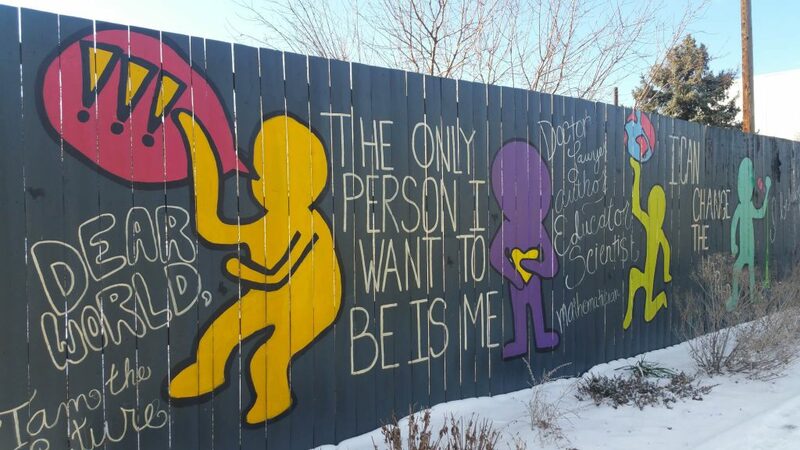 Paco made his mark in Denver by starting the first Spanish-speaking radio station and becoming an activist for the Hispanic community. His park sits on the hill overlooking the gulch and downtown. The West Colfax homes have history. Lang, who designed over 600 homes in Denver, took on the fanciful homes along Stuart, and he even influenced the more subdivision-style homes throughout the neighborhood. A little surprise popped up in Villa Park, an unnamed park! It had a wonderful little playground, an Aztec cat play piece and an Aztec calendar. It’s nice to see the park hearken to the ancestral land of Aztlán, which is referenced in Corky Gonzalez’ poem, Yo soy Joaquín. This famous poem, say some, marks the beginning of the Chicano movement and its identity. 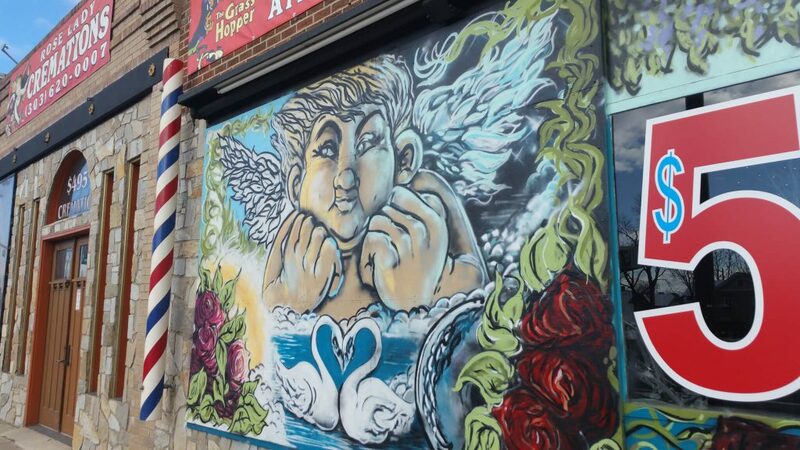 Enjoy this wonderful 3.3-mile walk through lots of fun discoveries in both West Colfax and Villa Park. Start at 1498 Irving St and park at the Rodolfo “Corky” Gonzales Library. Walk west on Colfax, turning right on Lowell Blvd. Walk up to Lake International School, which was the first and most ornate Junior High School for the kids around Sloan Lake. Go west on W 18th Ave, take a left on Meade St, take a right on 17th, then a left on Colfax. Cross Colfax, continuing west. Take a left on Perry St. Take a right on W 14th St. At the corner of Stuart 14th, enjoy the two homes built by Lang. The one on the SW corner is the Bliss House, which was built for Dr. and Mrs. Jerry and Lillian Bliss. Dr. Bliss, a Civil War veteran, lived here until his death in 1945, at the age of 99, the south’s last Civil War veteran. At Tennyson St, take a left and cross the Lakewood/Dry Gulch into Villa Park. Exit the Gulch onto Stuart St, walking through the neighborhood. You’ll reach Martinez Park. Walk through the park and pick up the Lakewood Gulch trail, walking northeasterly. 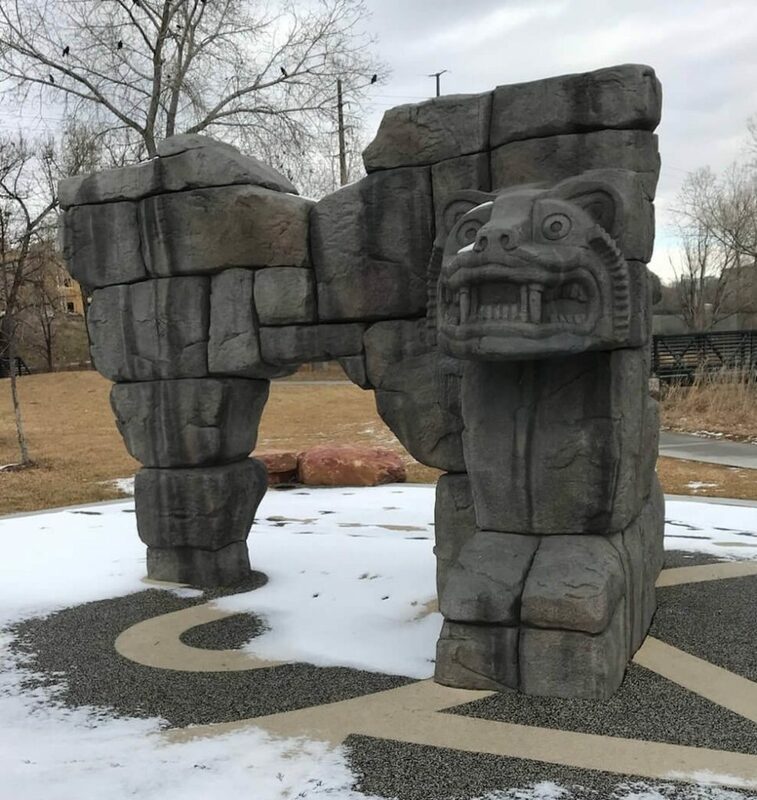 You’ll pass the Aztec-influenced park, continuing to walk northeasterly, catching up with the Dry Gulch trail. Continue along the trail to Knox Court. Exit the trail, going north on Knox Court, crossing the train tracks and entering Paco Sanchez Park. 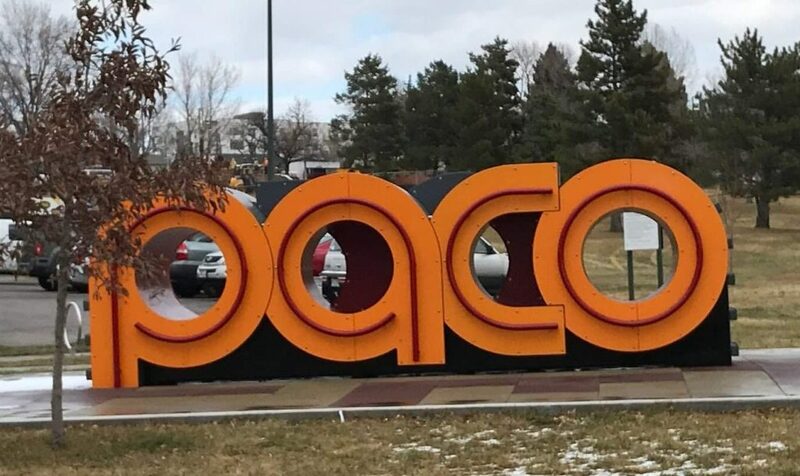 Enjoy the Paco sign. Continue northeasterly through the park to W Avondale Drive. Walk north and Avondale turns into Irving. Continue north until you return back to the library where you started. Wasn’t this a fun walk?